Just in time for warmer weather months comes the opening of Jute Coastal Bar + Kitchen, which is inside the new westdrift Manhattan Beach. 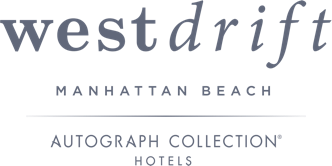 Westdrift Manhattan Beach has arrived on the banks of the South Bay outside of Los Angeles. Marriott Hotels and Resorts announced the opening of the Westdrift Manhattan Beach hotel, part of the company’s Autograph Collection. Four miles from Los Angeles International Airport is the new Westdrift in Manhattan Beach, a member of Marriott’s Autograph Collection. Autograph Collection Hotels announced the opening of the Westdrift Manhattan Beach, located four miles from the Los Angeles International Airport. Autograph Collection opened westdrift Manhattan Beach late last month as the collection’s flagship Los Angeles property. The hotel is located on 26 acres four miles from Los Angeles International Airport. The East Coast (think Hamptons) blends with the laid-back vibe of coastal California at the 392-room Westdrift Manhattan Beach in Los Angeles. The upcoming Westdrift property in Manhattan Beach gets a name for its new restaurant project: Jute. The Westdrift has some pretty luxury touches: a nine-hole golf course, CrossFit-inspired fitness center and an indoor/outdoor restaurant. Are you dreaming of a relaxed + beachy California wedding… but minus the sand?